Dr. Shawn Kim, Dr. Daniel Jun, Dr. Dong Won Kim (Lawrence) - Book Appointment Online! Excellent service, on time and the personal was very professional. Very clean and the Dr did a great job even was harder than he expected. the best part is Im feeling good. My husband and son were so happy to have found this office. The staff and dentist were amazing. 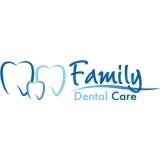 It is such a relief to find a kind dentist and amazing staff....the rest off the family will be booking as well!! Thanks !!! !